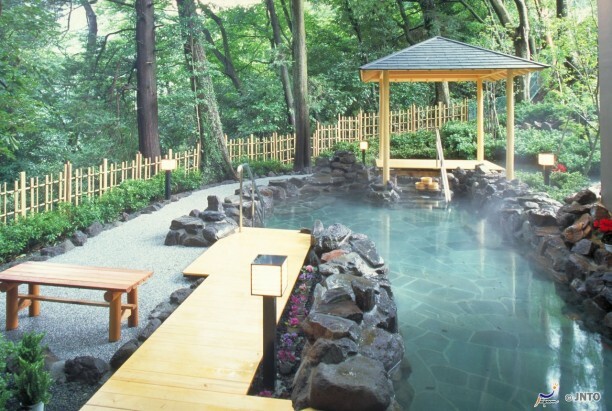 A trip to Japan would not be complete without trying the onsen or the natural hot springs that abound in the country. Each region has its share of hot springs and they come in varied types with the water also in different colors such as black, white, green, red and brown. They have been enjoyed by the Japanese for hundreds of years now. Hot springs provide health benefits owing to the minerals found in their water. And being hot, they keep the body warm and promote mental relaxation. Did you know that Japan has more than 2,500 onsen? As such, it would not harm visitors to experience this when going to Japan. Here are some of the best onsen worth exploring. One of the most popular onsens in Japan, Hakone can be reached from the capital Tokyo. Travel time is one and a half hours by car or train. Here, you will find many hot springs set in a forested valley and even in the shores of Lake Ashinoko. Situated at the foot of Mt. Yufudake in Oita, the Yufuin hot spring is the most famous in Kyushu. Popular among women, it is set in a rural area with shops, restaurants and museums within easy reach. As one of Japan’s top three hot springs, the place located in Honshu is well known for its healing hot spring since the 10th century. It can treat rheumatism, impaired motor function, diseases of the nervous system and can relieve fatigue. Gero is also called as the hot spring for beauty owing to its unique type of water that is smooth to the touch. During summer, visitors can experience the three-day Matsuri Festival which features five dragons, a portable shrine carried around by women geisha and a samba parade. The Kusatsu onsen can be found in Gunma and one of its main sources of spring water is the Yubatake. The area boasts of 18 public baths and most of the hot springs here are open round the clock and can be enjoyed free of charge. Shops, cafes and places of accommodation such as inns and hotels are also available. Those who want to learn about the history of hot springs can drop by the Kusatsu Alpine-Plant Museum and the Kusatsu Hot-Spring Museum. If you’re in Hokkaido, the Noboribetsu hot spring is the best to visit. It has sulfur and hydrogen sulfide which benefit the skin by softening and lightening it. An iron spring is also available and best for people who want to get rid of their fatigue.